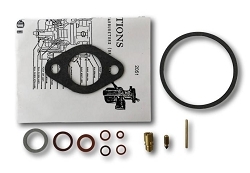 Carter brass bowl carburetor rebuild kit. Ethanol ready, made in the US. Worked perfectly. No more leaks. Runs better than I have seen it before. Included new float to make a full rebuild. Excellent! Perfect fit. Just what I needed! 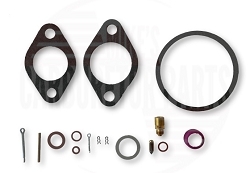 Q: I have a 1929 Plymouth with 4 cyl carter carb model rt-08 is this the right kit for it? 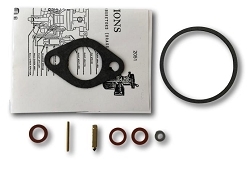 A: This kit does fit some of the 1929 Plymouth carbs, if you have a carburetor number (three digits with an "s" at the end) we can tell you for sure. Otherwise compare the parts in the kit photo to the parts on your carb to be sure.